threads will be open to comment.. inappropriate or harmful comments will be removed with out warning. I think everyone did a great job. And hoping we do another real soon. Maybe a christmas themed 1-pager? and thoughtful and have a relatively steady hand! I can't wait Bear, my only suggestion would be that all pages be posted on the same time. Can the image in Mr. alyn' exhibit be fixed? It is too small to see. I don't remember it being that small during the competition. It must be fixed now Mr. Gordon Lee I just looked at it and it was way big. I am also looking forward to participating in another 1-page exhibit. I think Christmas is a good idea but will go with whatever is decided. I might try something different this time and do an on-paper exhibit and scan and post it rather than do everything electronically. No, I simply meant I would create the exhibit the old-fashioned way...on paper. I would then scan the page and post the scanned image on Stamp Bears. It is interesting to fiddle with picasa to create a background page but I was thinking along the lines of just using straightforward quadrille, blank pages and mounting the stamps. The problem with this is printing the text without having to literally print, cut and paste pieces of paper. Outside of my office at work I can't think of anyone who has a typewriter. I was doing some research for another issue and came across how thematic/topical exhibits are judged/scored. I was thinking this is probably more in tune with what we here at Stamp Bears do. Anyway here is how things are scored in a thematic exhibit. I would say that 1 page exhibiting is closer to thematic exhibiting than traditional exhibiting. 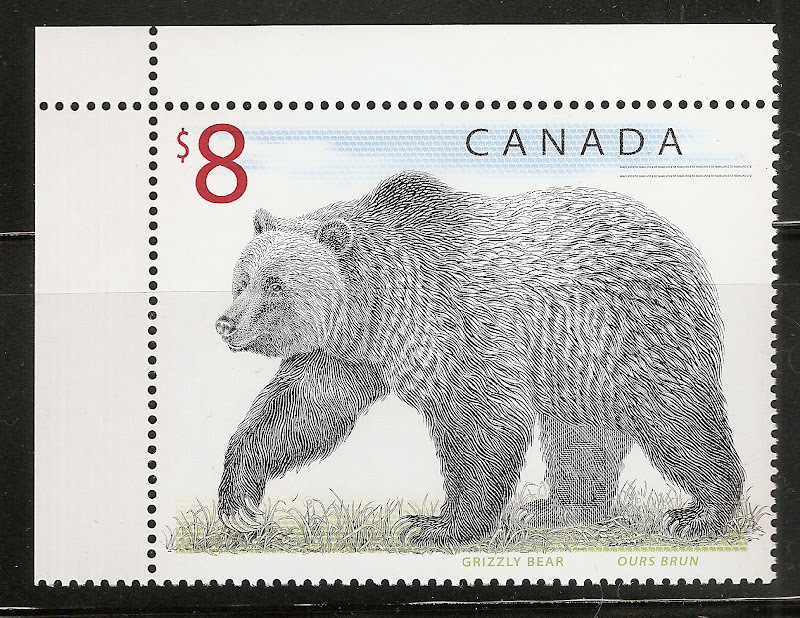 Another thing to look at is the rules established by the Lakeshore Stamp Club from Montreal. They can be found here: www.lakeshorestampclub.ca/Documents/LSC%20Rules/updatedrules/onepagerules.pdf. They appear to be very concise and would fit what we would do here. The main difference is the voting here is done by the membership not on a set criteria where each exhibit is scored but where one is picked as the overall best by us all. decided to see what our website says about judging one-pagers. rayb treatment is very 'scientific' and in my opinion far too rigid for a one-page exhibition and especially what I consider an informal and 'fun' competition. My entry certainly did not take into account any of the mentioned parameters but was almost entirely based on what I felt like doing, what i thought looked good and maybe a little on a message. It is also the way I vote for most of these...I go on what looks good and sounds good to me...philatelic value? I leave that to the experts and the fly-catchers! alyn...should that system of "marking" a one or four page exhibition to be adopted on Bears as a guiding standard, al the 'FUN' component would be entirely sucked out of it IMO, and I would definitely never submit another entry! darkormex and Perfs14 I agree I was just looking out for more information on what was out there to judge against. this is about fun among community members and nothing more.. I must apologise for being remiss in not thanking the people that voted for my entry and for not congratulating darkormex and all the other contestants for their very good submissions. I think that the winning entry was the best and hence the win well deserved, altough I must admit I did not vote for it, as I thought that it would win with or without my vote. I voted for my own entry because I think that St.Francis was a remarkable man and his message an important one and vital to us in today's world, where our very survival is threatened by our actions toward each-other and toward our beautiful planet.